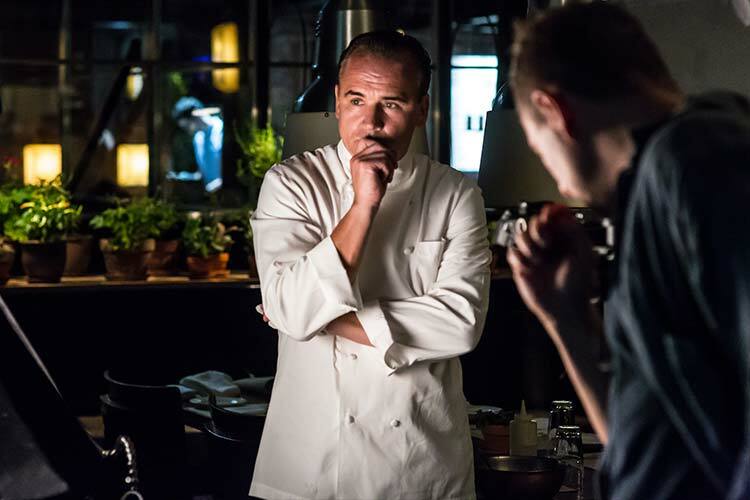 Though Jean-Georges Vongerichten is one of the world’s most famous chefs, his skills extend far beyond the kitchen. A savvy businessman and restaurateur, Jean-Georges is responsible for the operation and success of a constellation of three and four star restaurants worldwide. Born and raised on the outskirts of Strasbourg in Alsace, France, Jean-Georges' earliest family memories are of food. He began his training in a work-study program at Auberge de l'Ill as an apprentice to Chef Paul Haeberlin, then went on to work under Paul Bocuse and Master Chef Louis Outhier at L'Oasis in southern France. 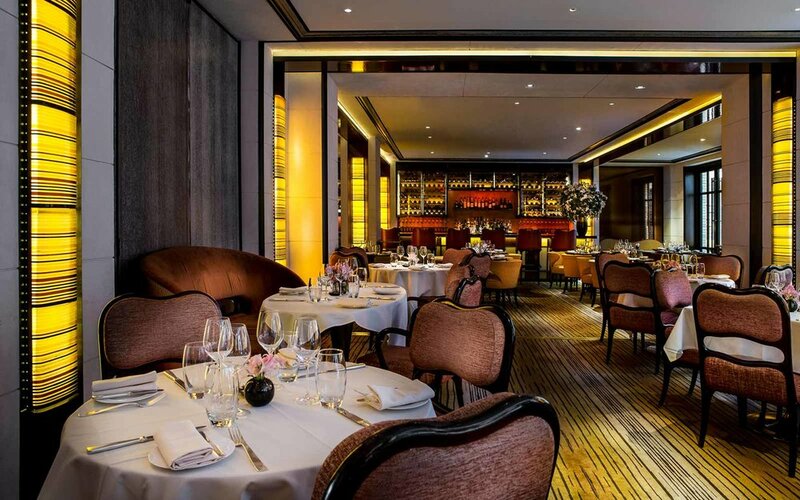 With this impressive three star Michelin background, Jean-Georges traveled to Asia and continued his training at the Oriental Hotel in Bangkok, the Meridien Hotel in Singapore and the Mandarin Hotel in Hong Kong. It was during this time spent working and traveling throughout Asia that Jean-Georges developed his love for the exotic and aromatic flavors of the East. His signature cuisine abandons the traditional use of meat stocks and creams and instead features the intense flavors and textures from vegetable juices, fruit essences, light broths, and herbal vinaigrettes. Jean-Georges’ culinary vision has redefined industry standards and revolutionized the way we eat. I spent my childhood watching my mother and grandmother cook for the family. At the age of 16, I visited L’Aberge d’ Ill for my birthday. When the chef visited the table, my father joked and asked him for a job for me which lead me to work as an apprentice to Chef Paul Haeberlin. I then went on to work under Paul Bocuse and Master Chef Louis Outhier at L'Oasis in southern France. I traveled to Asia and continued my training at the Oriental Hotel in Bangkok, the Meridien Hotel in Singapore and the Mandarin Hotel in Hong Kong. What are the most popular dishes at Jean Georges at The Mark and which is your personal favorite? 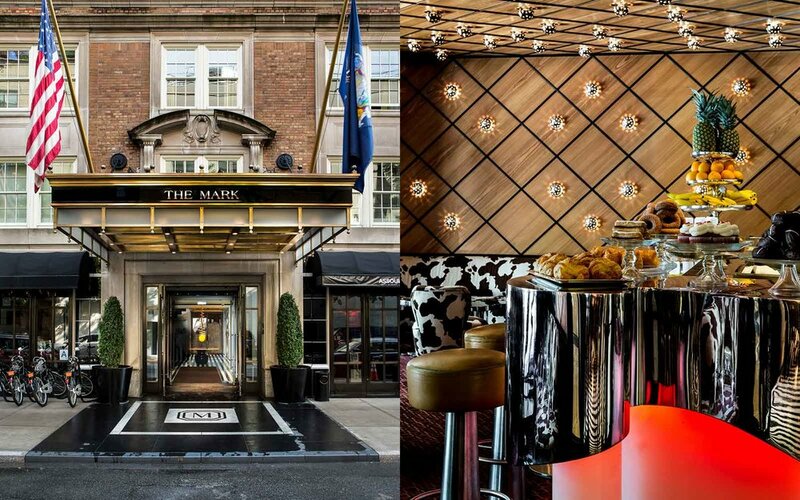 There is something for everyone on the menu at The Mark Restaurant by Jean-Georges. My personal favorite is the whole roast chicken which is brined in a kombu solution and served on a bed of French fries. I am continually traveling for inspiration. I am involved with every aspect of the restaurant from concept to design, menu development and staff training. How important do the design / architecture of your restaurant play into its success? Lighting, seating and décor are very important to me. I like to create a restaurant that is comfortable, elegant and makes every guest want to return a second and third time. I am involved with every aspect of the customer experience including choosing the flowers, plates, silverware and chairs. I choose a location for a new restaurant based on many factors. I like to open in cities and neighborhoods where the population is accepting of new flavors, the ingredients I like to use are abundant and easily sourced and the culture of the area is alive and thriving. I spend a few weeks each year in St. Barths celebrating New Years with family and friends. What’s next for the Jean Georges? I recently opened Chi-Q; a Korean concept and my third restaurant in Shanghai, China. I am also opening a vegetarian restaurant in New York City this year. Jean-Georges has published several cookbooks reflecting his influential style of cooking, including Simple Cuisine (Wiley, 1990); Cooking at Home with a Four Star Chef (Broadway Books, 1998), for which he won the Best Cookbook Award from the James Beard Foundation in 1999; and Simple to Spectacular (Broadway Books, 2000). In October 2007, he released Asian Flavors of Jean-Georges, featuring beloved recipes from his restaurants Spice Market, Vong, and 66. Most recently, Jean-Georges released Home Cooking with Jean-Georges: My Favorite Simple Recipes (Clarkson Potter 2011). In this book Jean-Georges shares the recipes for easy, quick and seasonal meals that are Vongerichten family favorites, including Crab Toasts with Sriracha Mayonnaise, Watermelon and Blue Cheese Salad, Herbed Sea Bass and Potatoes in Broth, Lamb Chops with Smoked Chile Glaze and Warm Fava Beans, Tarte Tatin, and Buttermilk Pancakes with Warm Berry Syrup. Jean-Georges has opened a number of new restaurants including The Inn at Pound Ridge by Jean-Georges, ABC Kitchen, ABC Cocina, Simply Chicken at Madison Square Garden, The Pump Room in The Public Chicago and Eden Rock in St. Barths. Most recently, Jean-Georges ventured to Roppongi Hills to open JG Tokyo, a 14-counter seat restaurant. Jean-Georges has appeared on Live! With Regis and Kelly, the Today Show, Good Morning America, The Martha Stewart Show, The Early Show on CBS, Top Chef, the Food Network, in the 1995 PBS series In Julia's Kitchen with Master Chefs and Sundance Channel’s Iconoclasts with Hugh Jackman. Additions since then include NBC’s Late Night with Jimmy Fallon, Fox 5 “Good Day Café” and The Today Show. He is also co-hosted his wife Marja’s PBS series, Kimchi Chronicles. 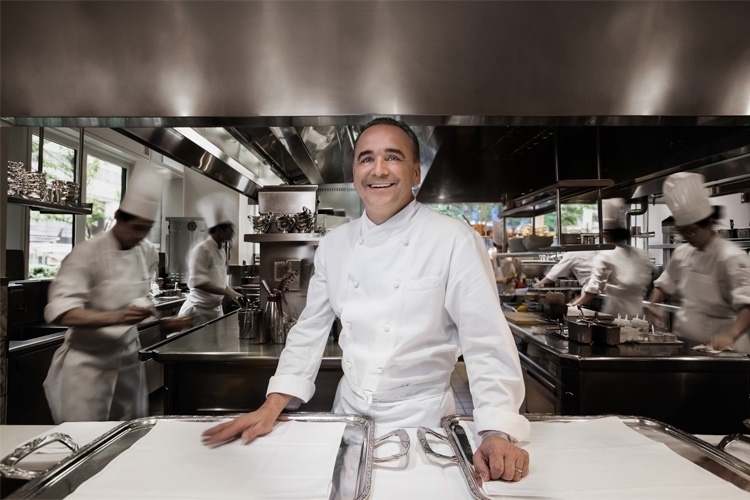 Jean-Georges has made culinary history and developed a reputation as remarkable as his food by tapping his deep understanding of the restaurant world and pairing it with his forward-thinking vision. Yet, after years of success, Jean-Georges’ favorite retreat is still the kitchen, and his favorite meals dished from a street cart in Thailand.